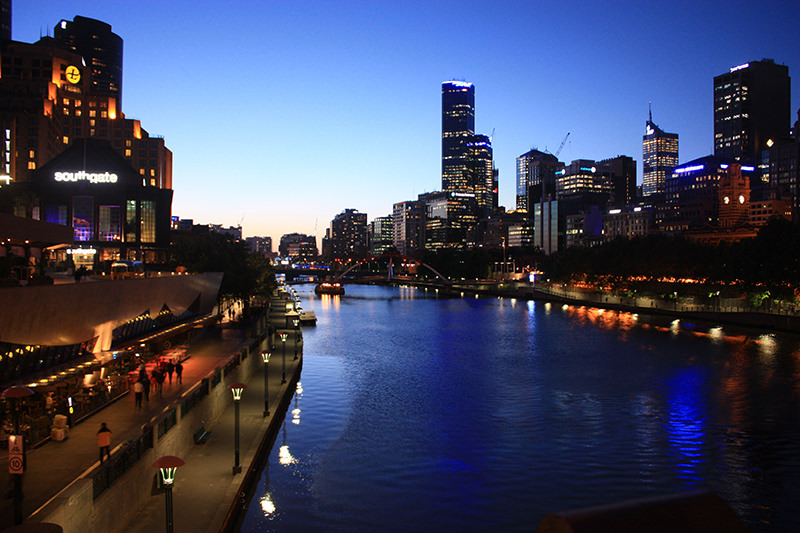 For 4 years running, Melbourne has been chosen as the best place in the world to live. 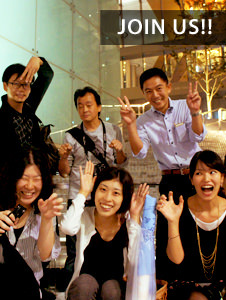 City planning has successfully focused on public space to build one of the world’s leading and charming cities. The cityscape is harmonious balance of old and new buildings. Main avenues lined with trees and lampposts are beautifully maintained, along with smaller alleyways, and even the waterfront along the river flowing through the middle of the city is carefully planned. 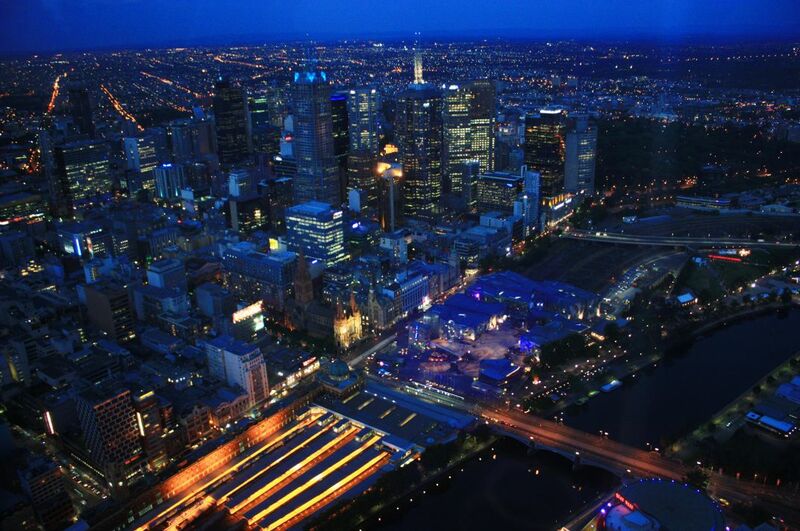 We surveyed the Melbourne nightscape in search of the secret to its coziness. We can clearly feel the difference of lighting atmosphere between CBD area which is occupied with blacked-out buildings and surrounding local area which is covered by twinkling warm-colored street lights, when we look down from “Eureka Sky Deck”. The lighting plan of the city seems to have intent to differentiate business districts and cozy alleyways, using different color temperature as public lights. 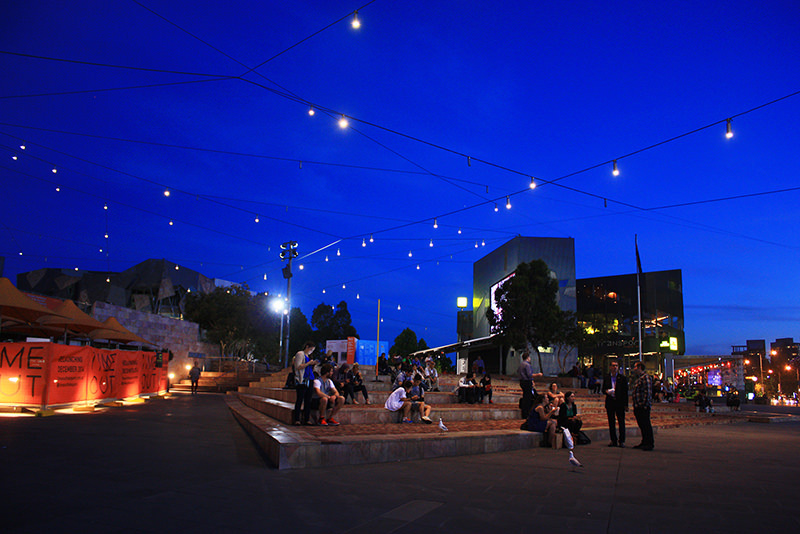 The waterfront area was well-maintained with designed pole lights and façade lighting from the surroundings, but some of tree lightings were by glaring spotlights. Many people were enjoying their walk along the river. We found a lot of “catenary downlights” in the city. Instead of pole lighting, catenaries covered large squares, wide intersections and narrow pathway between the building. When the night falls, the downlights looked like a starry sky. As we can see that so many people were gathering at night, the lighting in the city provides an attractive nightscape and safety feeling to the people who enjoy their nightlife. 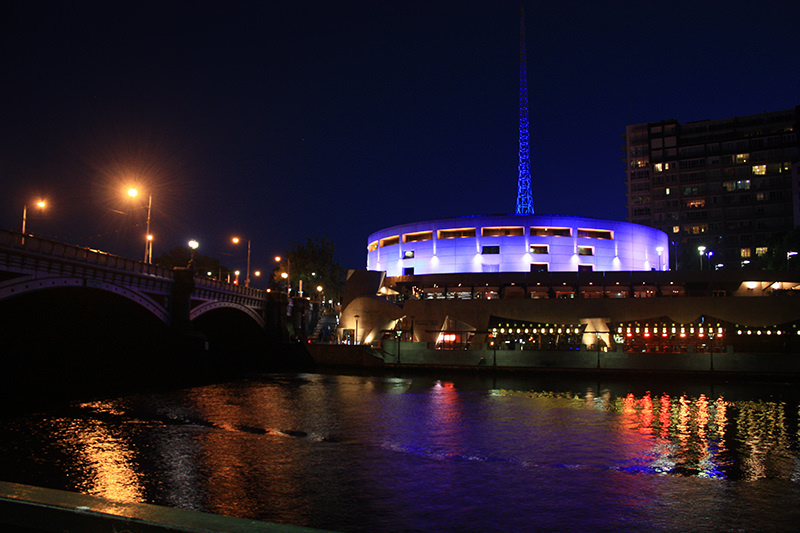 Color lightings are used for façade of particular buildings that are cultural, governmental and historical buildings. The light colors for these buildings are mainly blue or orange, and these color create effective contrast and highlight in surroundings. Also we found some point lightings in the public area such as pole light, pendant light and pavement light. Unique colors are used according to derivations and concepts of each areas. There are few color lighting for commercial use. 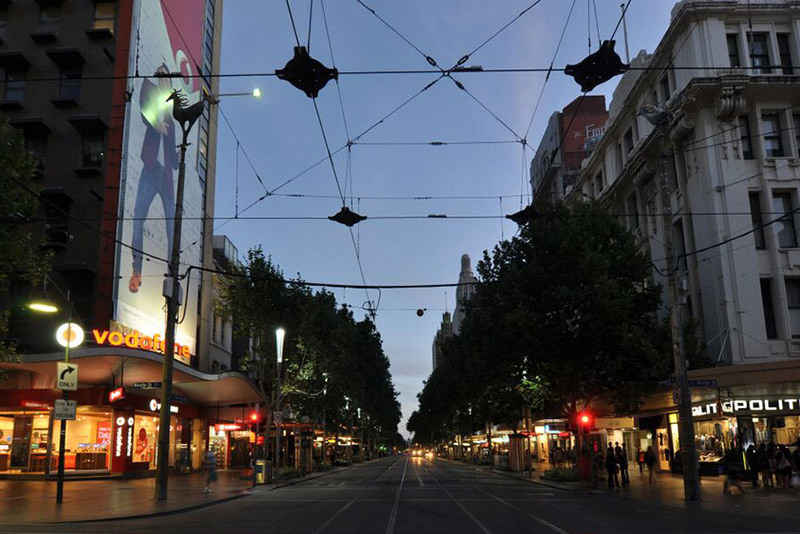 The view along Swanston street. There are stores and restaurants on each side of the street and its amount of traffic is the largest in night-time. Cool white light by the pole lights illuminate between drive way and walkway and casts tree leave shadow on the street. Various lights from shop interiors and signage are mixing and illuminate the walkway. The trees and deep canopies above the walkway cut these shop lighting, and only a little light spill to upper floors of the buildings.